It was 8 years ago, over lunch with computer guru Larry Lowe, Phoenix Lights researcher, Lynne Kitei and peace activist, Terri Mansfield–together, we birthed a vision for mobile phones as a means of tracking UFO’s. 1. the effectiveness of crowdsourced data gathering, 2. the connection of handheld mobile phones and 3. the power of a community of conscious intention. Our idea was to create a text-based system to track a UFO sighting whose trajectory would be traced via individual mobile phones with geographical coordinates and images. Then Larry would recreate a geospatial animation of the UFOs journey, eventually creating a map of multiple sightings. We envisioned the Phoenix Valley as an illuminated map of UFO craft and exoconscious participants. That was 8 years ago. Today, SETI announced their $100 million grant from billionaire social media investor, Yuri Milner, that involves smartphone crowdsourcing of the data of universe’s entire electromagnetic spectrum gathered from two telescopes, Green Bank and Parkes. It’s a funny feeling to see a vision you and your friends held come to life–in a different way. It’s like thinking you know how your newborn will look–only to be delighted by its distinctive appearance at birth. You experience a death of your expectations and a birth of new possibilities. All so TS Eliot. SETI wants to explore frequencies across the universe’s electromagnetic spectrum and we wanted to explore UFOs. Different focuses, and yet, we both see consciousness and how humans are connected to the universe.Exoconsciousness. Exoconsciousness is about merging consciousness science and extraterrestrial experiencers (including those who witness UFOs). In that respect, SETI’s ability to explore across the universe’s entire electromagnetic spectrum is important. 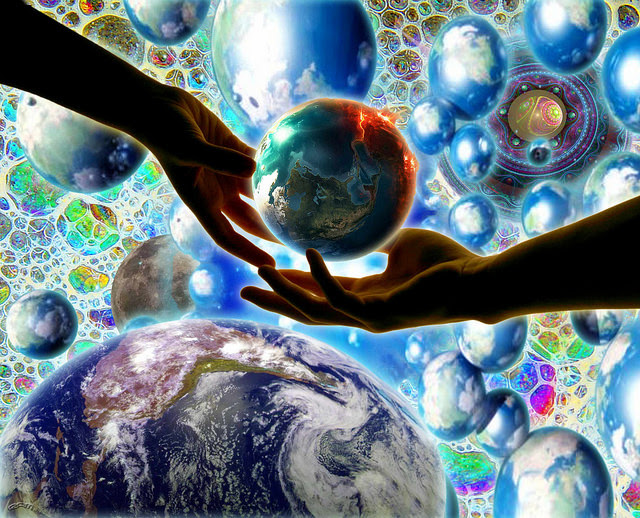 We ET experiencers are aware of dimensions and frequencies that science is researching via advances in technology. How the exoconscious human experiences the full electromagnetic spectrum is central to energy healing, telepathy, and how we create connection. Technology advances consciousness. And consciousness advances technology. It’s not an either or. Both SETI and ET Experiencers are about acknowledging, integrating and advancing our connection to our planet Earth, the universe and the extraterrestrial presence. For the Exoconscious the path lies within. We are extraterrestrial and as such our consciousness connects to other extraterrestrials and their field of information. SETI and ET experiencers have different paths. A different conscious guidance. A different experience of contact. Yet, we live in a home of similar frequencies. Our paths diverge and then merge in this field of information. It’s what creates a pattern so we all can see.